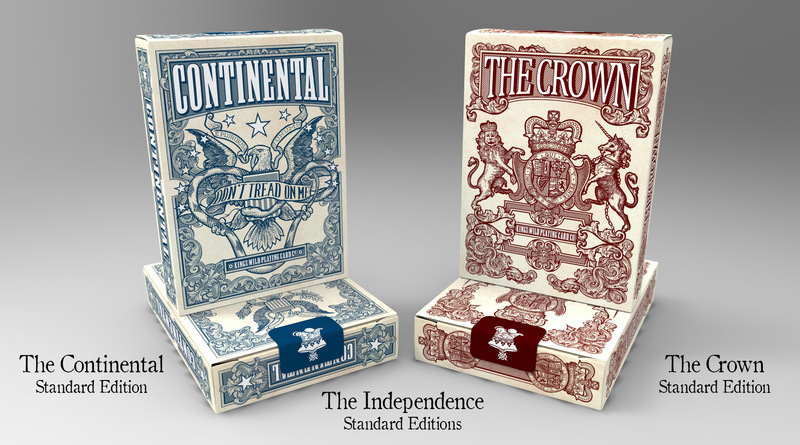 A playing card series by Jackson Robinson inspired by the American Revolution, featuring both a Continentals Deck and a British deck. 1,394 backers pledged $116,525 to help bring this project to life. 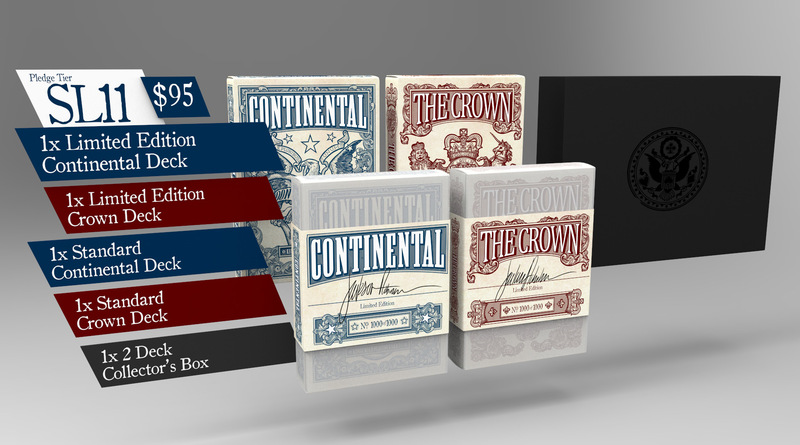 Limited Edition decks feature the new Kings Wild Exclusive custom fold over tuck case. Printed on a custom Kings Wild card stock. Each Limited Edition tuck case will have the edition number printed on the bottom of the tuck case as well as on the out side of the removable belly band. 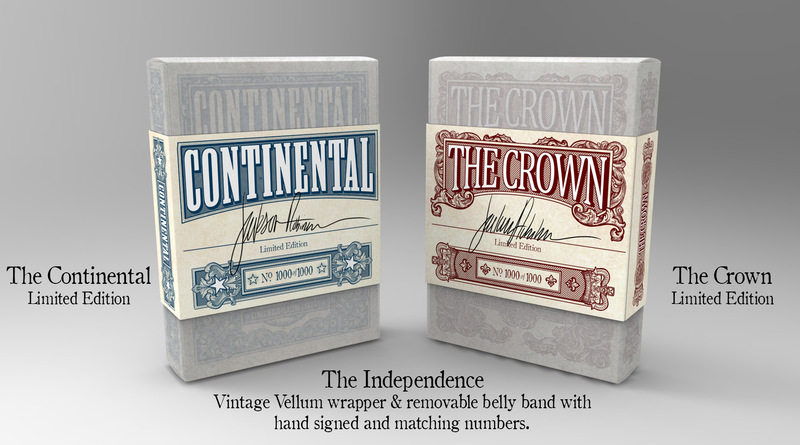 Each Limited Edition set will come wrapped in a vintage style vellum paper and have a removable 2-inch-wide belly band that is also foiled and embossed and made from the same paper stock as the Limited Edition tuck case. 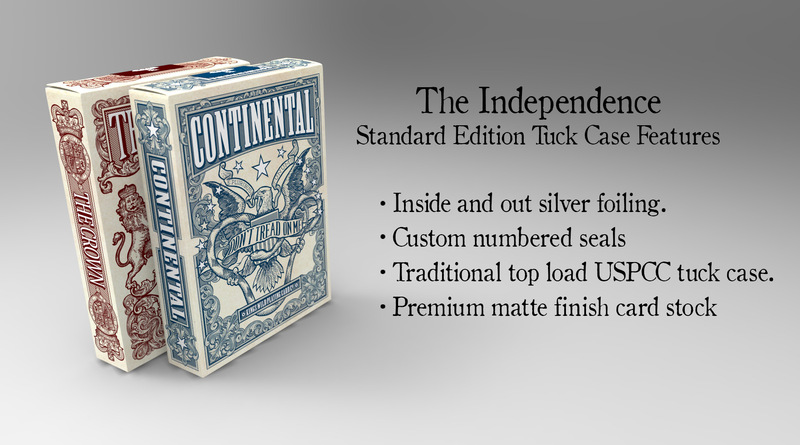 If you pledge for a Limited Edition set both of your tuck cases will have matching numbers. That number will be printed on both the tuck case itself and also the belly band. 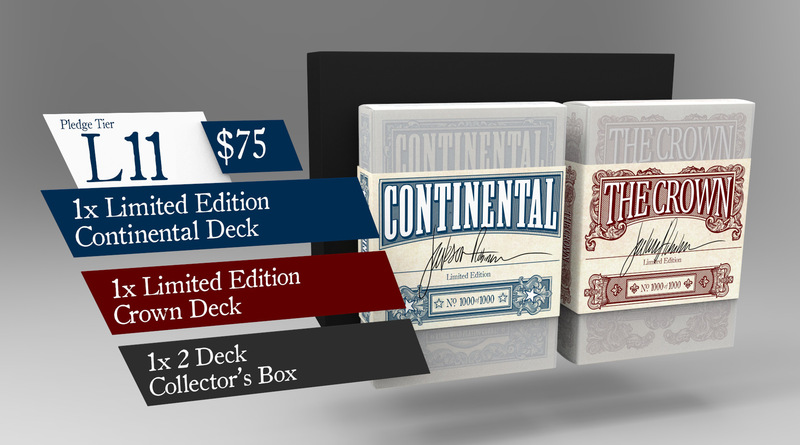 To maintain the vintage finish, the limited Edition decks will not come wrapped in cellophane. 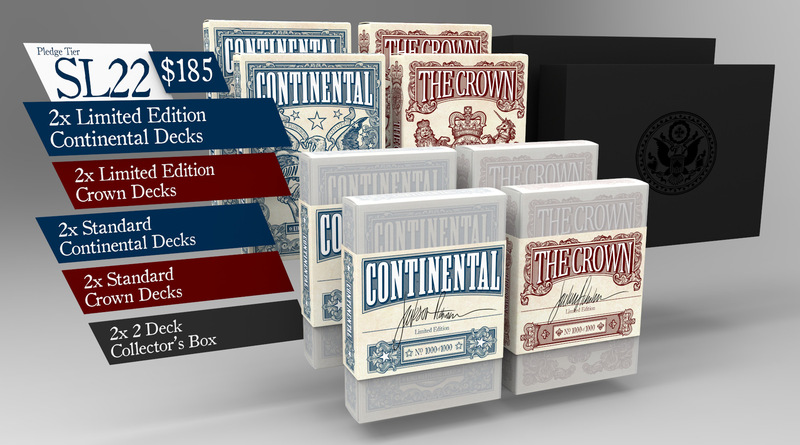 Each Limited Edition Set includes a matte black custom Collector's Box with the Kings Wild Eagle Seal in black foil on the top. 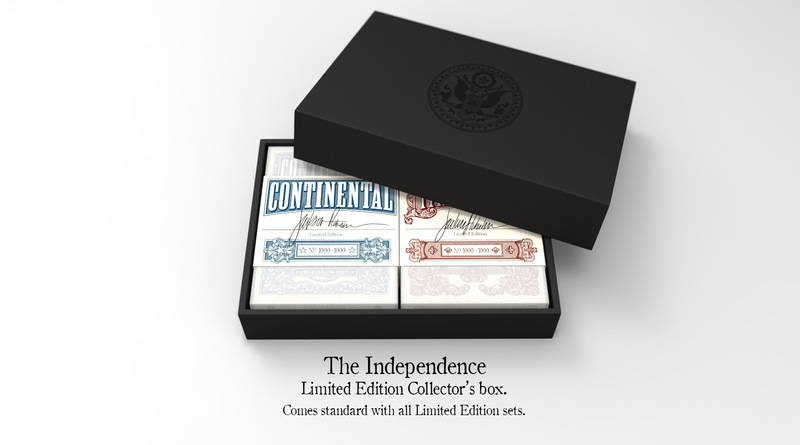 These boxes are skillfully made in collaboration with the Expert Playing Card Company. 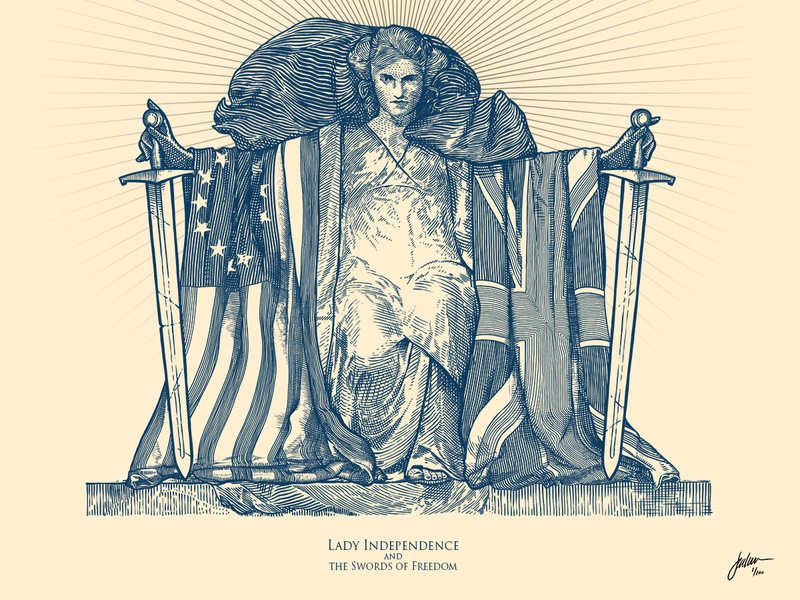 Lady Independence Holding the Swords of Freedom. 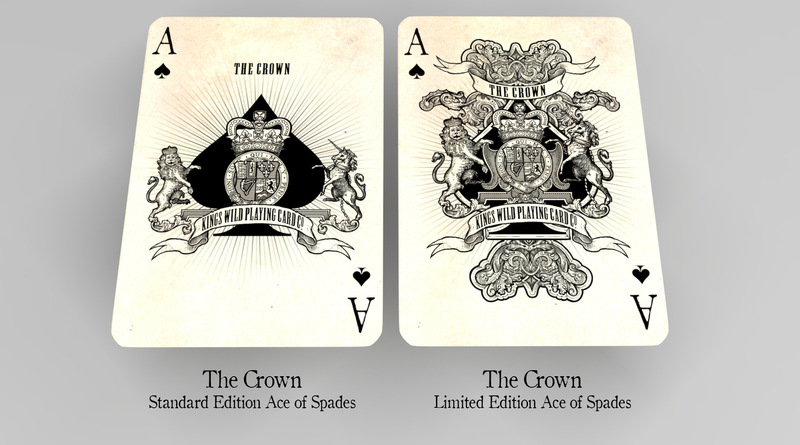 The Independence Playing Card project will fulfilled by Kings Wild Fulfillment. For more information about getting your card project or Kickstarter fulfilled by Kings Wild Fulfillment visit their website. 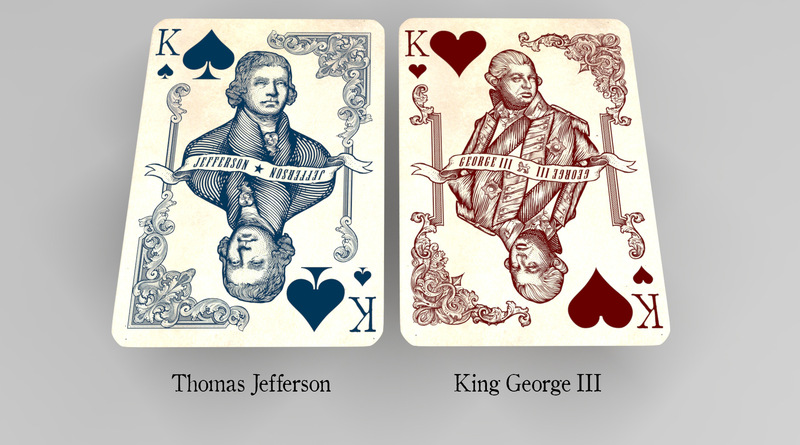 A playing card project is a big task. 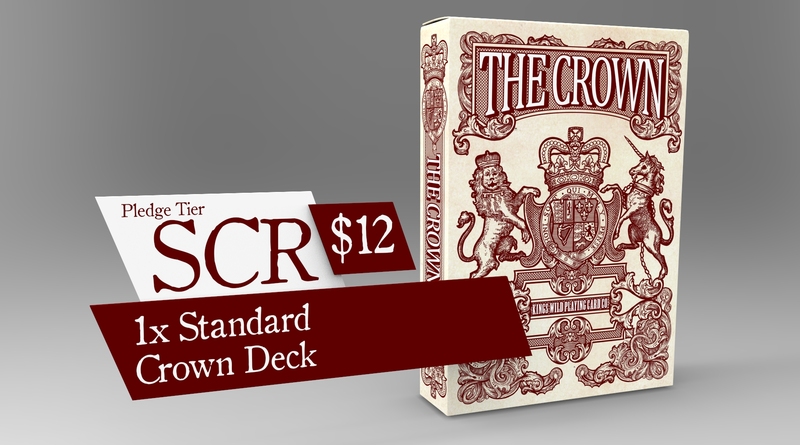 There are so many elements that have to work together in order for a playing card project to function smoothly and result in decks of cards in the hands of satisfied backers. 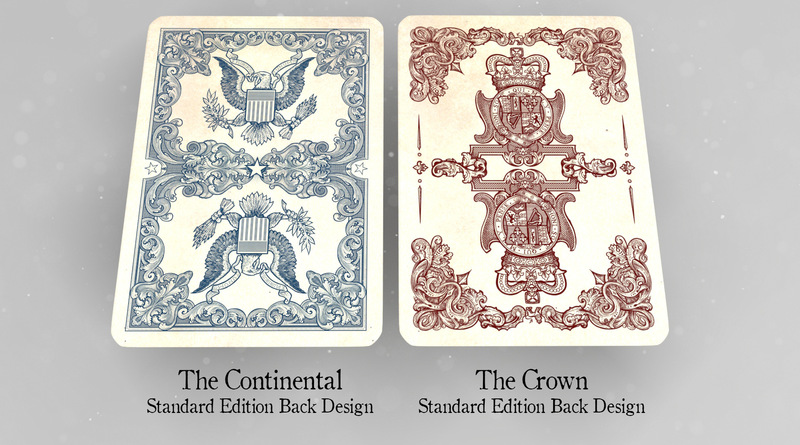 "The Independence" will be my 4th playing card project on Kickstarter. I have learned so much from my past Kickstarters, including some valuable lessons about what TO do, and what NOT to do. 1. Keep your rewards & add on system simple and easy to understand. 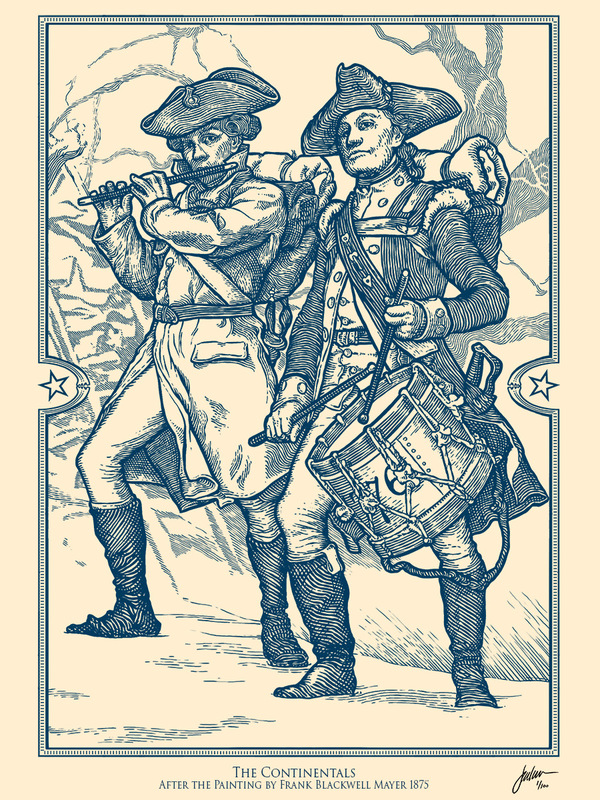 As I did with both my Federal 52 Part II & Sherlock Holmes projects I have given the pledge tiers Alphanumeric labels to help you understand what you are pledging for. Beside every pledge tier there is a letter/number key that you can match up with a graphic that will give you a visual representation of what is included in that pledge tier. 2. Keep International Shipping transparent and easy to understand. I have received my share of bumps and bruises in the past trying to figure out the most transparent and understandable method of communicating to international backers how much to add for Int. shipping. Int. Shipping is expensive, there is no way around it. I ship all of my decks using the USPS. It is not my intention to try and profit from international shipping I'm only trying not to go broke from it. I am totally transparent with shipping costs and have included an average breakdown of how much international shipping costs both you and me. Since all the information is out on the table, you can be a well-informed backer. 3. 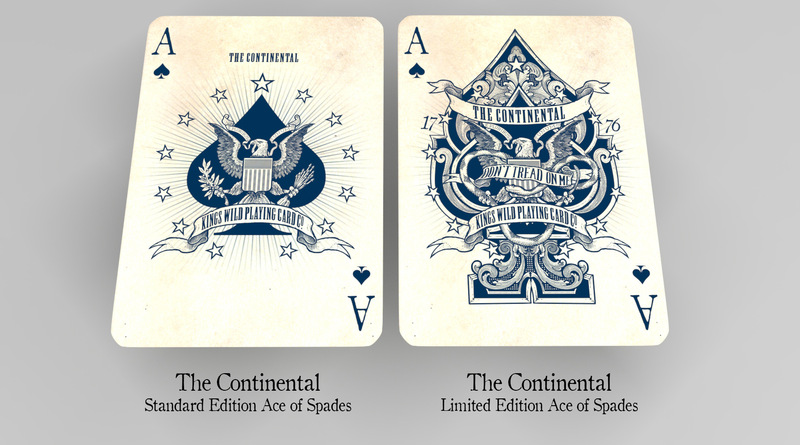 Fulfillment is by far the most difficult process of any playing card project. With my first Federal 52 Project I got my hands calloused by tackling the fulfillment of 3000 orders by myself. With my second project, Federal 52 Part II, I ventured out and gave a fulfillment company a shot at taking on the challenge. I have learned that shipping playing cards is an art form in of itself. 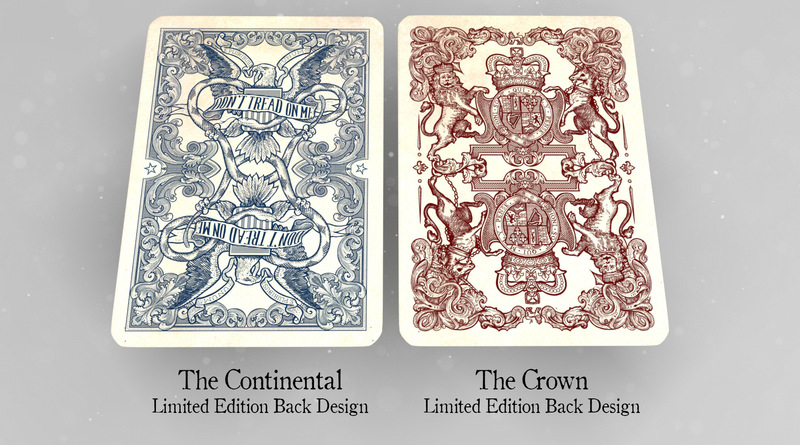 It is VERY important to me that that the same amount of care and detail is given to the packing and shipping of my playing cards as is going into the design. 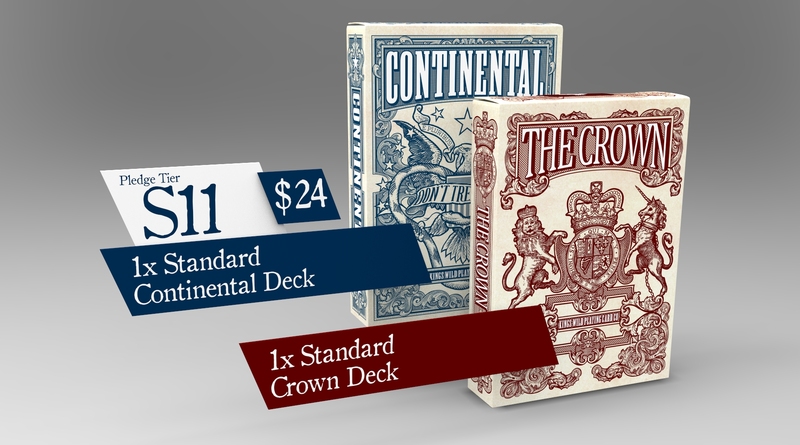 Because of this fact I have recently formed a company that specializes in nothing but shipping playing cards and add-ons for playing card projects. My fulfillment company is called Kings Wild Fulfillment. It has a full-time staff that is dedicated to handling, packing and shipping your rewards with a level of excellence that you expect from anything with the Kings Wild logo on it. At this very moment Kings Wild Fulfillment is fulfilling 1500 orders for my previous card project, The Sherlock Holmes playing card project. You may notice that my international shipping costs are a little higher than my previous projects. One thing that I am doing differently on this project is eliminating bubble wrapped envelopes for both domestic and international rewards. 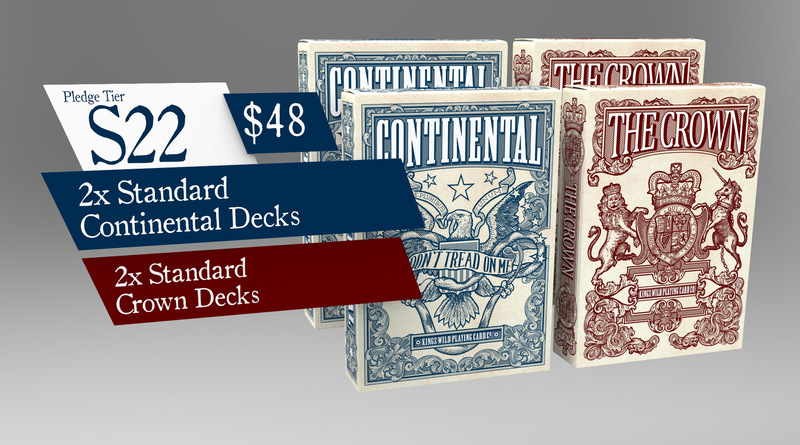 ALL rewards, whether you order 1 deck or 500 will arrive in a corrugated cardboard box. I will be using a variety of boxes from ULINE industructo boxes to USPS Priority flat rate boxes. 1 of each of the decks... Yes you read it right 1 of each of the decks. 1x Hand Made cases made from 18th Century period correct wood. 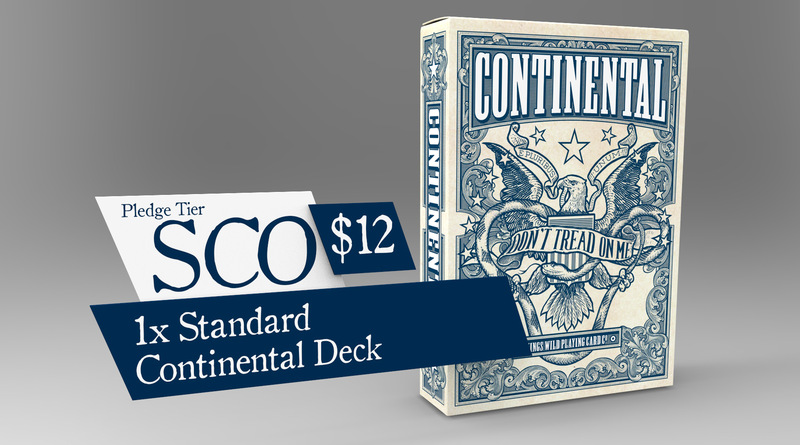 Also includes One of each of the decks.